Semantic interpretation of language requires extensive and rich lexical knowledge bases (LKB). The Basque WordNet is a LKB based on WordNet and its multilingual counterparts EuroWordNet and the Multilingual Central Repository. 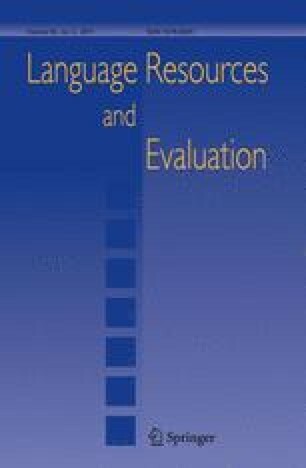 This paper reviews the theoretical and practical aspects of the Basque WordNet lexical knowledge base, as well as the steps and methodology followed in its construction. Our methodology is based on the joint development of wordnets and annotated corpora. The Basque WordNet contains 32,456 synsets and 26,565 lemmas, and is complemented by a hand-tagged corpus comprising 59,968 annotations. UZEI (1987). Euskalterm. http://www1.euskadi.net/euskalterm/indice_c.htm. Accessed 17 March 2010.